just finished this and wanted to share. It's a wolf playing baseball! this is pretty good. maybe make the shadow of the circlet on his forehead darker? could just be picture quality though, nice job. would love to see more contrast to separate the features. also cutting the top of her head like that is a no-no. tue quality of the pictures dont help but you are rightm i need to constrast more the features. im will buy a larger sketchbook cause i often have that problem... mayber larger paper will help... hopefully. Its a great picture but it looks very manly and nothing like galadriel The quality is superb though. I am confused by these responses. 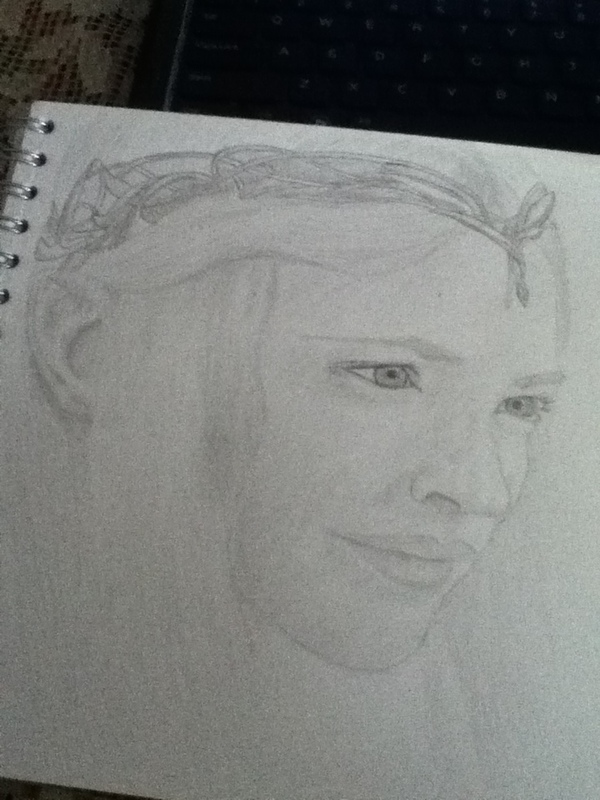 I thought it was instantly recognizable as Cate Blanchett as soon as the page loaded :\ . Same, wtf, captures the look in her eyes perfectly (I think it's the eyes at least, she has a very distinct face). Good job imo. Maybe some features are a bit masculine as some pointed out, but I don't feel qualified to say. to OP, i didnt mean any disrespect, its an amazing drawing. You don't really need a bigger sketchbook, you just need to plan your art space a bit better. It helps doing a light sketch of the placement of an object. It is very easy to draw too big and definitely a learning curve to try to fit art on smaller pages. Using a darker pencil would definitely bring it more to life. Otherwise, good job. Facial feature placement is really good. Personally I find it helpful taking a photo of my art, or holding it up to a mirror. Doing that gives you a completely different perspective of it and you can see where things are out of proportion etc.